VR developers receive space to work and in turn get a chance to 'play test' their products. 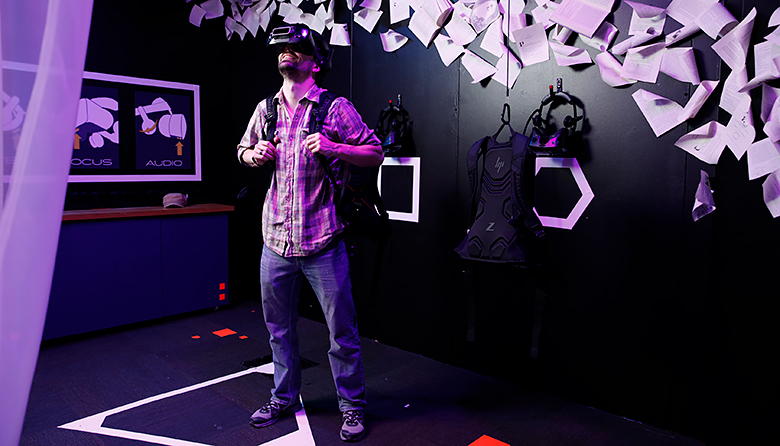 The Pacific Science Center has some of the resources — especially workspace — that bootstrapping virtual-reality developers dream of. A year and a half ago, executives at the center saw this opportunity and launched What is Reality?, an experiment in which selected VR developers receive space at the science center in exchange for a commitment to educate the public. “We wanted to create this sort of community living room and laboratory,” says Diana Johns, VP for exhibits. “We took our traveling exhibit hall — where we last had Terracotta Warriors — and we sort of turned that into an experimental space, or an incubator." The idea is to give VR developers space to work — and, in some cases, access to other resources, such as the science center’s woodworking shop — and the developers in turn open their doors to the public part of the time.